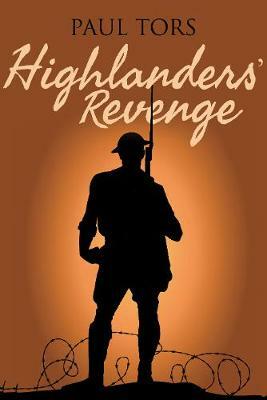 Highlanders' Revenge tells the story of Mash, the nickname Highland soldiers give to an Englishman in their ranks. Scarred both from the retreat before the Blitzkrieg advance across France and from the murder of his first love, Mash has to integrate himself into a new section that is wary of the sullen and secretive `Mash Man' - an outsider in their midst. Together they journey to Egypt where they encounter a way of life that tests them to their limits. Scorched by day, frozen by night and plagued by insects, they have to learn how to live and fight in the desert as they prepare for one of the greatest battles of the Second World War. They are then cast into the thick of the fighting at El Alamein and the Allies' tumultuous battle to break through the Axis defenses... Highlanders' Revenge combines the fast-paced action and intrigue of a military novel with the real-life exploits of the 5th Camerons, an extraordinary unit that saw action in most of the major battles in North Africa and Western Europe. As a result, the book is both a riotous story of battle and life, and also an insight into the world of this little-known, but fierce, fighting unit. It will appeal to fans of military fiction who also appreciate historical accuracy.